A display garden is a type of public garden. The different types of public gardens are botanical gardens, conservatories, arboreta, display gardens, historic landscapes, zoos and for-profit attractions such as Disney World. Every public garden meets a specific criteria that defines its type. A public garden is an organization that uses its facility to further its mission. An appropriate definition for a public garden is a mission-based institution that maintains collections of plants for the purposes of education, research, conservation and/or public display. A public garden must be open to the public, have a professional staff and maintain plant records systematically. The Gardens at Kansas State University is designed as a life-long learning laboratory. Our mission is to encourage environmental involvement with the university community and the general public. An ever-changing display of plants provides an opportunity for education, research and conservation. While a display garden and a botanical garden both maintain collections of herbaceous and woody plant material and offer a variety of educational programs, a botanical garden has very diverse collections of plants and conducts extensive research to promote and improve plants and their conservation. The Gardens at Kansas State University promotes plants and conservation and provides research opportunities but doesn’t actively conduct research. In the gardening world The Gardens is properly defined as a display garden. 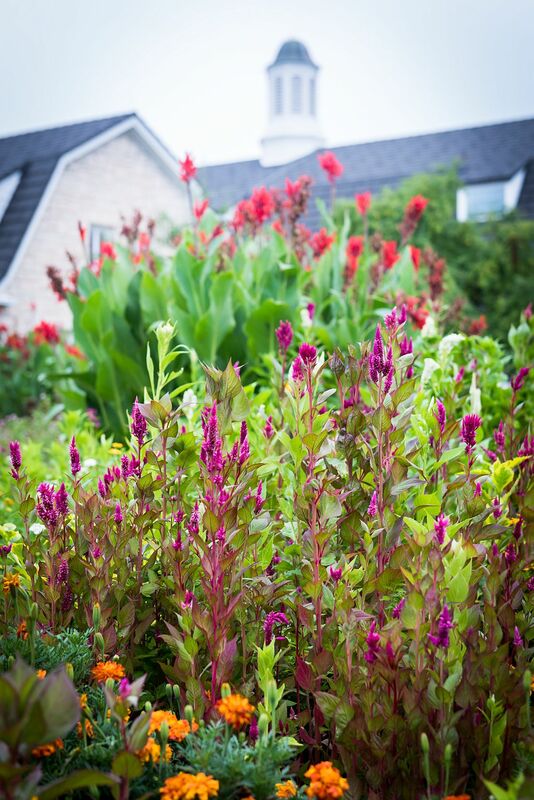 Autumn is an excellent time to add organic materials and till garden soils. Winter can still be a good time to take care of this chore as long as the soil isn’t frozen. It is far wiser to till now than to wait until spring when cold, wet conditions can limit your ability to work soils easily. Working soil when it is wet destroys soil structure and results in hard clods that are very slow to break down. On the other hand, dry soil may need to be watered so it can be more easily tilled. Be sure to wait several days after watering to let soil moisture levels moderate. You want the soil moist, not wet or dry, when tilling. There is a limit to how much organic material, such as leaves, can be added in one application. Normally, a layer 2-inches deep is adequate with 5 to 6 inches being the maximum that can be added at one time. Shredding the material before application encourages faster and more complete decomposition due to increased surface area. Remember, soil preparation is an important key to a successful garden. 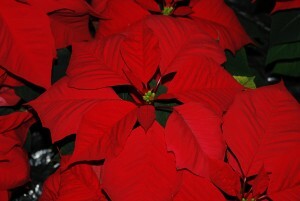 The Friends of The Gardens at Kansas State University is holding its annual poinsettia sale in late November and early December. 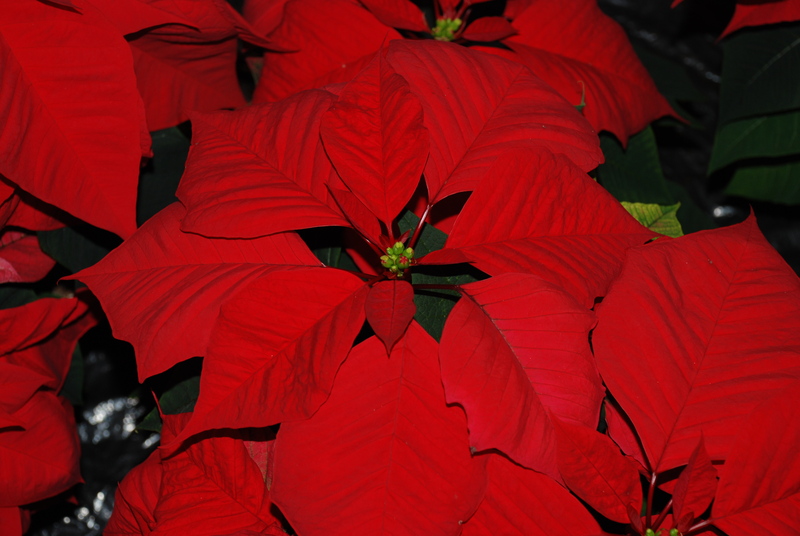 Dozens of poinsettia and amaryllis varieties grown by students in the K-State horticulture program will be available to purchase. Thanksgiving is a time when we come together to celebrate our many blessings. It is a time to reflect upon the abundancy of the year, and contemplate how resources can be shared with family, friends and folks we may have never met. K-State has a tradition of supporting our students, faculty and facilities throughout the year – giving whatever they can, knowing it truly does make a difference. 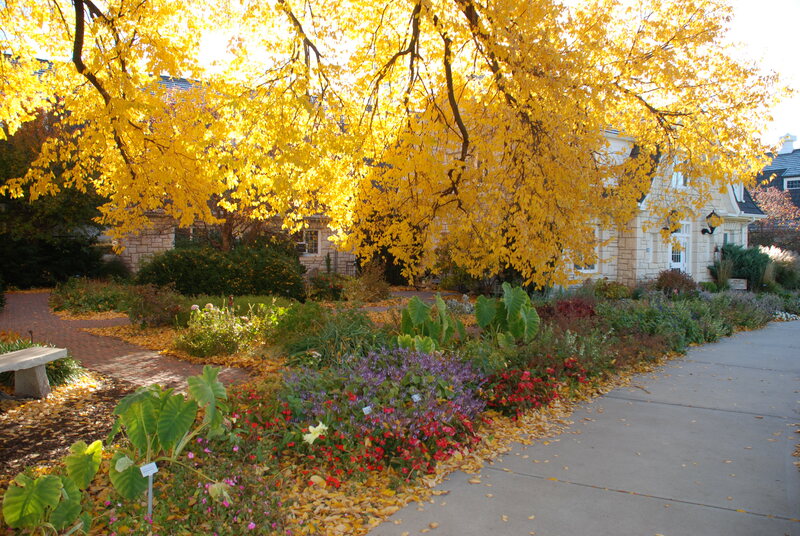 As the 2015 calendar year comes to a close, and you consider the many things you are grateful for, we hope you will remember The Gardens at Kansas State University – the experiential learning environment it provides to visitors and students alike, the backdrop it offers for creating lasting memories, and the resource reservoir it becomes for horticulture enthusiasts. 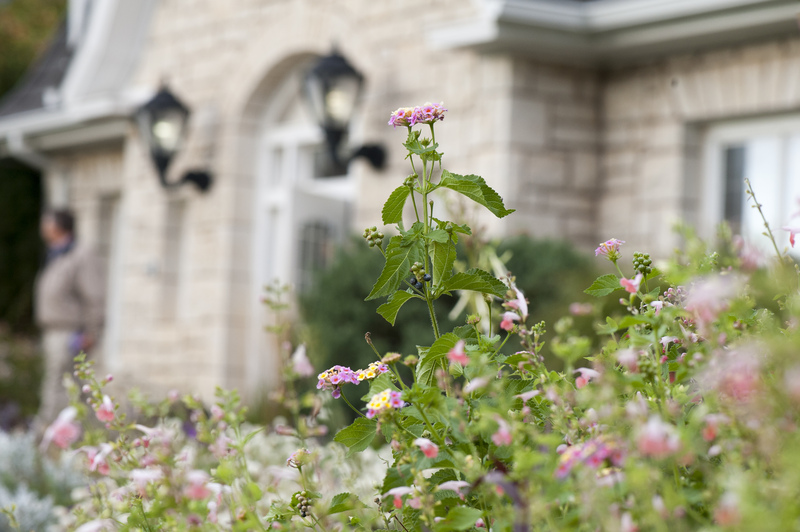 If you would like to make a year-end gift in support of The Gardens, contact Emilie Fink, assistant director of development at the KSU Foundation, emilief@found.k-state.edu or 785-532-7571. Rake leaves and clean up rose beds. To help control unwanted pests, remove all rotten fruit from fruit trees and those that have fallen to the ground. Winter is coming, but you can still plan for spring by planting your favorite spring flowering bulbs. Clean, fix and sharpen all power and hand tools so they are ready for the next growing season. If you have a fish pond, drape a net over the pond to collect fallen leaves. Also, add a bubbler to keep oxygen in your pond throughout the cold, frozen winter months. Clean out bird baths, stock the feeders. 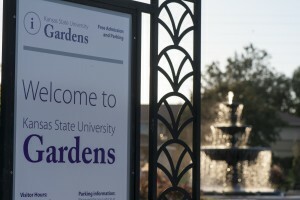 Visit The Gardens online at www.k-state.edu/gardens/. Dawn to midnight, Sunday through Saturday, March through November. 10 a.m. to 4 p.m. Monday through Friday.